Companies interact with our students through internships, by guest lecturing, and through industry workshops and seminars. The Master of Science in Analytics offers several programs for companies of all sizes to raise awareness of their brand and recruit students. We’ll work with you to develop a customized recruiting plan to support your particular needs, but please see below for the program’s current options. This is a general networking event held each week in the fall quarter where we invite one or two industry contacts to meet and mingle with both graduating students interested in full-time positions and incoming students interested in internship opportunities. These events usually last for one and a half hours. We reserve the venue and will arrange for catering. Students receive an email announcing when you will be on campus. Interviews for full-time postings can be arranged to follow. 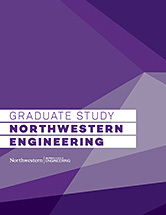 If your company has a position available but you will not be able to join us on campus in the fall, please email msia.careers@northwestern.edu with your posting and application process, and we will distribute it to graduating MSiA students. For internship offers (extended in the winter quarter): students will be provided until mid-February to inform you of their employment decision. Students may accept an offer prior to this date if they choose to do so. Beyond the dates addressed previously, employers are expected to provide students with a 3-week time frame for offer acceptance/decline. These guidelines are for Northwestern University and are effective for companies that recruit on- and off-campus.